I hope Barbadians understand now that most people entering politics are not motivated by an quest, as they are wont to spew, to represent the people. Most of them are motivated by a personal agenda. A year and a half ago news broke that William Duguid was hardly attending parliament and was barely making the basic requirements to keep his seat. Oh he rushed in the paper and said that was not true etc etc. Lo and behold the truth has come to light. But the reason I said most candidates are personally motivated these days is that Duguid knew that if he had quit a year and a half ago he would have been short of the ten year or two term requirement for pension. So what do you do? Keep spending three weeks in Canada and rush back so that you don’t miss four sittings (which I think it is) and then rush back off to Canada again. dental practice to go and speculate with regard to real estate in Canada sounds very dubious. It sounds as if he is running from something. At one stage he even talked about having leadership (Prime Ministerial) ambition. I just hope that the electors realise one thing: IT IS NEVER ABOUT THE PEOPLE. Hi LBB, we think you are too cynical by half – and we know cynical! Way back in 2006 and early 2007 William Duguid was a frequent commenter on BFP – at least until the questions about his government became too direct and unanswerable. While the dear doctor might be making a strategic decision at this point based upon the fact that it is unlikely that the BLP will form the government after the next election, that doesn’t take away from his original intents upon entering politics. We have no doubt that William sincerely thought he would be able to work within the political system to “do good” as he says. The problem we see with new politicians is that they are almost immediately seduced by their more experienced mentors to take advantage of a system that has no rules about conflicts of interest or misuse of office. Who could withstand the temptation of running wild in a candy store with no rules? You? Me? We saw the BLP turn into a gang of thieves and we’re now watching the same thing with the current DLP government. It’s all too easy for a politician to make big money under the current free-for-all and that’s why Thompson and his gang did not implement a Ministerial Code on their first day in office as they promised to do. We also said that Thompson and the DLP would stall and sabotage the promised Integrity Legislation and that’s exactly what has happened. As to Duguid not finishing out his term in a proper matter, we share your concern. One would think that honour would demand an MP to be on the island for the vast majority his time – not just when parliament is in session. The job that Dr. Duguid took on demands much more than just showing up in Parliament. Although Duguid has been very careful of late to orchestrate appearances in the press, he is seldom seen by his constituents anymore. 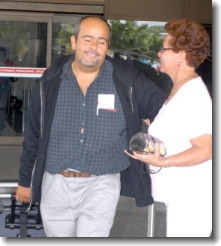 June 8, 2009 Dr. Duguid Returns To Barbados – Fails To Address THE QUESTION: Did William Duguid Apply For Canadian Immigration? June 5, 2009 Barbados Parliamentarian Dr. William Duguid Moves To Canada – Continues To Collect Salary! Dr. Duguid Returns To Barbados – Fails To Address THE QUESTION: Did William Duguid Apply For Canadian Immigration? Hey folks… I don’t think Dr. Duguid or Mia Mottley ever gave us a straight answer about whether or not Duguid had applied for Canadian residency. So how about it, Doc? 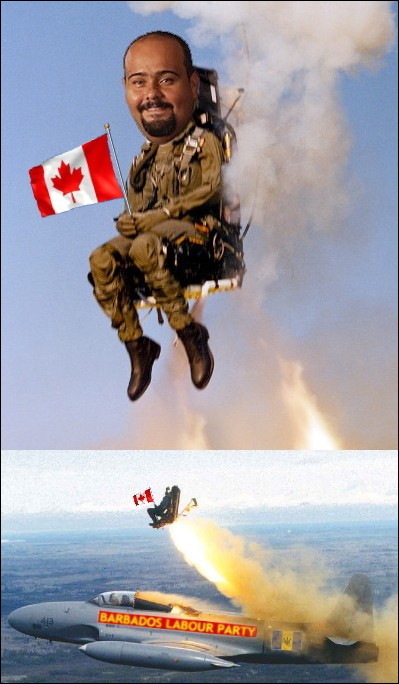 Did you apply for Canadian residency? Yes… or no? Your member for Christ Church West, Dr. William Duguid, is absent from Barbados and has not been attending Parliament or his duties in his constituency for some months. The news media reports that Dr. Duguid now lives in Canada. Miss Mottley, presumably Mrs. Duguid and her children have been granted residency status in Canada and lawfully immigrated to that country. Has Dr. William Duguid, your BLP Member of Parliament for Christ Church West, applied for immigration or been awarded residency in Canada? Yes? No? … or you don’t know and don’t want to find out? BFP: Barbados Parlimentarian Dr. William Duguid Moves To Canada – Continues To Collect Salary!